Raynor Super-Guide: You up for this, darlin'? Raynor is a very simple and effective auto-attack hero. 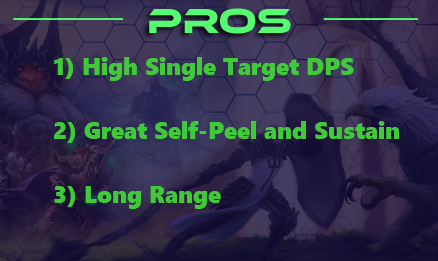 He really only does one thing: a lot of single-target damage, and his contribution to teams outside of his DPS is very minimal. However, when well executed, Raynor can be the only DPS a team needs to win a game of Heroes of the Storm. To become the best Raynor player you can be, you will need to focus a lot on improving your positioning, stutter stepping and target selection. Raynor’s extreme simplicity makes him very easy to pick up and play. He also has a low skill ceiling meaning that he isn’t too hard to master either. That doesn’t mean you should slack off when playing Raynor though! His talents are simple, but perfecting stutter stepping (or as I like to call it, orbwalking) isn't something you can do overnight. Despite the great savior of the Terran race Raynor can really only do one thing, shoot people. Since his role in Heroes is to be a main DPS in a team, any talent that you can take to enhance the effectiveness of your basic attacks is the numero uno pick on that talent tier. For Raynor, Seasoned Marksman works in the same way as it does for every character that has the talent - kill minions and heroes (gain stacks) to improve your autoattacks. If you are good at prioritizing stacks you will have a good time as the game goes on, but if you don’t then you will suffer a severe lack of damage, so get those stacks! This talent shines against high burst damage teams, but will leave you shy on damage. If the enemy team has an abundance of crowd control and say a, Kael’Thas to back it up there is a strong likelihood that you’ll die quicker than your Adrenaline Rush will heal you. In these cases having extra healing to survive the burst and then be able to press on the fight while the enemy’s spells are on cool down is of more importance than how much damage your basic attacks do. After all if you are dead you won't be doing any shooting! However, before taking this talent consider if those spells will be hitting you at all! Most of the time you'll just want seasoned marksman and to position correctly. As said before, since Raynor is a basic attack focused hero anything that enhances his attacks is great. Yet, there are many other great things about Focused Attack as a talent choice. Because it only procs when hitting enemy heroes you can poke down enemy heroes with critical hits over the course of laning. Also Raynor's Inspire (W) increases his attack speed so, the part where Focused Attack reads ‘gets it’s cooldown reduced by 1 second per shot’ naturally synergizes with the rest of Raynor's talents and kit. This is a talent that you pick after assessing your teams healing and the enemies' damage, First consider if the enemy has AOE damage. If you do not have AOE healing on your team, you will want this talent to help keep you in the fight a bit longer. Also this will enable your teams support to heal other targets that they would not otherwise be able to assist. However, in most situations you will not want this talent. Strategically, you benefit from character specialization, the same way players do in a football team. Heroes of the Storm, when it comes down to it, is about streamlining characters talent builds to their maximum efficiency, in American football you wouldn’t tell a lineman to get slimmer would you? The same thing goes in Heroes of the Storm when taking the right talent build. Taking Vigorous Assault means that you’re taking a talent that deviates from Raynor’s main power - dishing out massive single target damage. However, in some rare situations, it can still be the better choice. This talent is amazing! I cannot get over how much self peel this gives Raynor. The average crowd control ability in Heroes of the storm is a 10-12 second cooldown compare this to the fact that Relentless Leader is a 8 second cooldown. This means you are countering more than the enemy’s main form of cc with a single talent. Against team compositions that are hard engage like ETC or Butcher, you will often find them trying to dive right on top of you at the start of the fight. But because Relentless Leader is a knock-back, once they touch you it will be difficult for enemies to follow up on their stun in a meaningful manner. I can’t even count anymore how many ETC’s I have seen try to Powerslide and Mosh-Pit on a Raynor just to have it canceled by Relentless Leader. This talent is fantastic because it brings the possibility to end and punish an enemy engagement, simply because you picked it. Additionally, the cooldown reduction on Adrenaline Rush is a pretty nice perk. In my opinion there is no better talent at level 7 period. Lots of people take Fight of Flight, but the whole point of Adrenaline Rush is for you to live through the first attempt on your life and then turn around with your new found HP. Since the armor only comes after it triggers it essentially happens at a useless time (during the counter-engage) and is therefore giving you absolutely no gain. Revolution Overdrive on the other hand is amazing all the time and in teamfights turns you into ‘Racecar’ Raynor! HOTS players start your engines and get your fingers warmed up for one of the fastest stutter-steppin’ backliners in Heroes! It sounds weird to say that, but if you hit a full Inspire on all five members of your team, which in a teamfight is extremely likely, you will be moving at an increased speed of 30% (mount speed)! This allows you to kite, engage, run, swing, or move into new zones of a teamfight that you can use to your advantage to really pick apart teams. Hyperion may only hit 4 enemies at a time and prioritizes buildings, minions and heroes equally. However, this is a blessing in disguise. Sieging a wall? Break it open with Hyperion! There is absolutely nothing wrong with using Hyperion (R) to break a wall because after it breaks what will it hit? The enemy champions waiting behind. 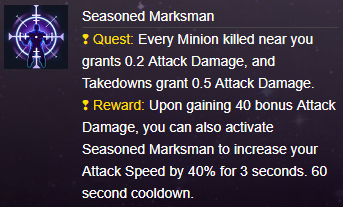 On a different note if you think it is going to hit only minions in a teamfight you can probably quickly reposition and cast it using Revolution Overdrive (Level 7 Talent). This way it will hit the intended targets instead of minions, while surrendering very little time to reposition. It really is an immensely powerful form of damage when your opponents fight under a well placed Hyperion they are just asking to lose. Use it at the front end of fights so that it makes it’s strafing run during the whole fight and not as a clean up ability or it will lose a lot of potential damage for your team. The maximum damage potential of Hyperion at base (Level 1), is over 3000 damage - spread among your targets. To put this into perspective this is nearly 3 times the health of some of the squishiest heroes in the game like Li-Ming and Valla, and more than the entire health of the highest (level 1) HP character in the game, Stitches (3000). The Banshees that Raynor summons with this ability are very strong at single target DPS. Because you can control them, this gives you consistency that Hyperion just doesn’t have. However, the difficulty to control them in tandem with Raynor's high demand for stutter stepping, is extremely high. Also they are very low in HP and can get taken down very easily by your opponents or with a single misstep in their control. Still on maps where there are lots of little guys, such as Infernal Shrines, who make your Hyperion inconsistent it can be prudent to talent into Raynor’s Raiders. I really feel like I am repeating myself a lot in my talent guides for basic attackers, but basic attack talents are amazing on characters with attack speed steroids, or extra range, or self peel built into their kit, and Raynor has all three. Shoot hard, shoot fast and now deal percent HP,which lets you take down tanks nearly as quickly as backline squishies. If you have slows, roots or stuns on your team, enough to proc this talent, then take this talent. Basic attacks synergy - blah blah - I have said it before. I do want to say here though that I don’t think people truely appreciate the number 30% in this game. Nearly all abilities and stats in Heroes of the Storm scale at 4% per level meaning that a 30% increase in your basic attack damage is essentially like saying, “here have 7 extra levels worth of damage” if you have played a few games of HotS then you know when you are down by 3-4 levels the game is usually over so if you can be ahead of the other team by 7 levels… hmmm. 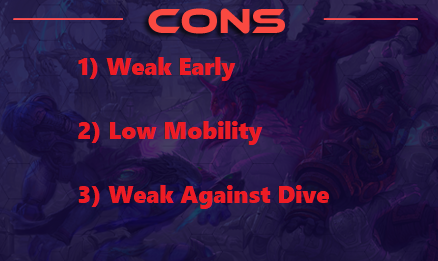 Few backliners have CC and in almost all of those situations their CC ability is their ultimate i.e. Gul’dan or Valla. This talent straight up says, “here have a stun” and that’s great. If you can’t enhance your basic attacks as Raynor your next goal should be to have enough room to use your gun safely, and Bullseye achieves that in spades. Thinking rationally Raynor's 20 talents read thus, “2 bad ultimate upgrades, 1 talent that relies on your teammates and your opponents just dying all the time, and - oh hey look at that a talent that - BUFFS YOUR BASIC ATTACKS” Honestly at this point I cannot really think of ways to write buff your basic attacks in a new way so, buffes thy basico attackyersness. On the real though, since Raynor already has the highest range in the game and attack speed steroids Nexus Frenzy is just giving you more of what you are already insanely good at. Raynor’s main form of safety this keeps pesky heroes off of you for long enough for you to re-position, shoot em down or get help from your teammates. Since Raynor is all about dropping his opponents from distance, you want to use this skill to give you some space. However, in situations where it is off cooldown and you are not going to be in any immediate danger it can be used right after an auto attack to quickly deal a finishing blow to a target. Careful though you might be knocking them away from you team and saving their life. This can also be used to stop channeled abilities such as Mosh-Pit. Basic attack faster! Use this right when you go into a fight or skirmish to maximize the uptime of the attack speed. Also think about how this skill synergizes with the talents you have picked or with your allies spells so maximize your healing and damage over it’s duration. Using it right at the start of an engagement where you are free to auto-attack will make or break a teamfight. You want to be at distance but sometimes people get ontop of you that is just going to happen. Adrenaline rush is there to let you survive the initial rush or damage and then reposition into a safe place and then turn back on the fight again with a healthy life bar. Think of it as second life cats may have 9 but Raynor get’s 2 and that should be one more than you ever need. This passive gives Raynor this single biggest attack range in the game at 6.6 (If you exclude siege mode Sgt. Hammer and Ana) the average being 5.5. This means that the game is basically telling you, “Hey usually ranged characters should be far away but this guy should be really far away,” so do that. This means even against ranged heroes Raynor can often sneak in free auto-attacks, since enemies will not be in range to trade damage. Until he gets his talents, Raynor really isn’t that much of a force on the map. This is because his kit is so one dimensional and not geared toward being able to do much of anything that is of great importance early on, like wave clear, ganking, or camping. Therefore, you can take it easy and take a backseat on most of the action, while being satisfied with stacking your Seasoned Marksman. However, if a fight or skirmish does break out early Raynor has extra range and this can be used to punish retreating enemies for considerably more time than other characters can. So be sure to maximize his range in trading to fully flex your early game efficiency. This is the point in Heroes of the Storm where Raynor really starts to pick up because you finally have some talents under your belt increasing your basic attacks and mobility. In turn this directly increases your potential to contribute your damage to meaningful targets, more easily and with a bigger punch. You still aren’t going to be as much of a powerhouse as you are going to be late game. However, since teamfights are going to start breaking out in earnest in the mid game, be sure to focus on your target selection and stutter stepping. You should always focus down the closest threat to you and then whoever your team is focusing, in that order. Even though splitting damage in a game where healing is so prevalent is a very bad thing if you're dead you cannot shoot anybody so work front to back though threatening targets. This is where you shine, at this point you will have all or almost all of your talents meaning you are going to be doing a massive amount of single target damage. Your job in fights is going to be very simple, at the front end make sure that you drop your ultimate and get a full team Inspire (W) both for your Revolution Overdrive and to enhance you team's kill pressure. Then just position in a safe pocket near enough to your healer and shoot the most forward threat to you or whoever your team is focusing, in that order. If an opposing carry exposes themselves seize the opportunity to 3 shot them off of the face of the map. It is easy to get carried away by the amount of damage you do and over step so resist this urge at all times by focusing on staying at the edge of your ridiculously massive range. Raynor is an autoattack champion. Make sure to take the autoattack talents and hit enemies with his autoattacks! Don't forget to target dangerous enemies that are coming for you first, and to play around his long range. Understand that Adrenaline Rush provides some safety and adjust the amount of risk you take around it! Good luck in the Nexus!